Phu Quoc, which is the biggest island of Vietnam, is known as Pearl Island. 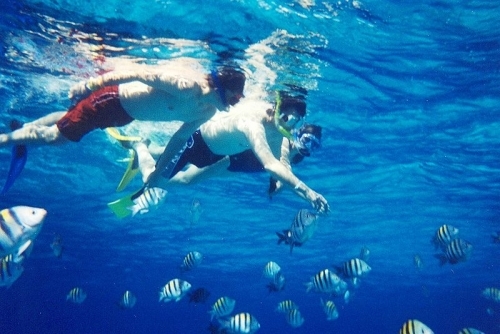 Phu Quoc island provide a memorable experience with plenty of interesting activities such as snorkeling, going fishing, kayaking and visting Duong Dong town and a pearl farm. An Thoi Port for snorkeling and fishing. Visit Duong Dong Town and a pearl farm. 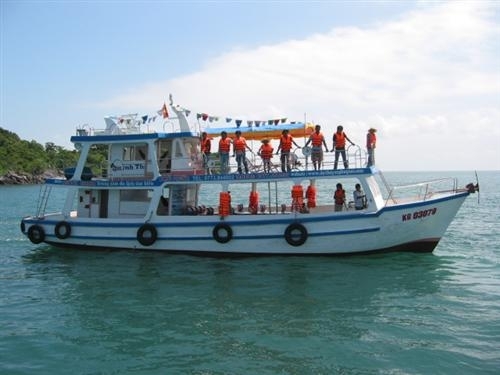 08.30 am – 08.45 am: this morning we start Phu Quoc diving tour 1 day travel by air con tourist bus. You will visit a pearl farm. Arrive in An Thoi Port. Board a boat to fish at Pineapple islet, Coconut islet... and go to 4 islets for snorkeling in Southern Phu Quoc. After 1 and half hour being out sea, boat anchors in a quiet, fish-laden bay for your fun fishing activities... Bring your swimsuit to check out sea urchin colonies while snorkeling. The time now should be around 12 noon. Time for lunch! Let's go back to boat for that. Lunch served with special local dishes on board. We arrive in a beach that is more beautiful than those in Hawaii and the Caribbean. Here you can swim in crystal-clear water, do some kayaking, or simply enjoy the sea breeze in a hammock (kayaking and hammmock excluded). 3.00 pm – 3.30 pm: We end our sightseeing trip at Duong Dong Town. 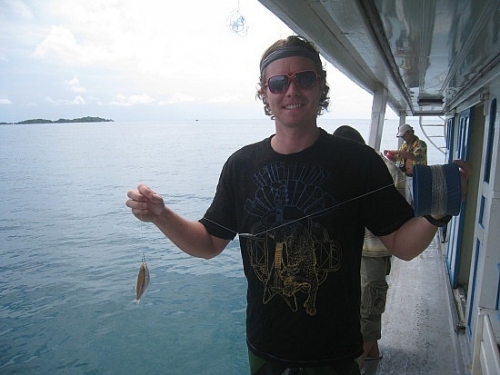 We come back to your hotel/resort at 5.00pm, finishing Phu Quoc diving tour 1 day. Air con tourist bus and entrance fees. Fishing tackles, fishing baits, snorkels, masks. Lunch and 01 mineral water bottle. Tips, drinks, travel insurance and personal expenses. Please provide name of hotel and hotel address Phu Quoc, Vietnam where we can be free pick-up. We will free pick-up at hotel in the central area in Phu Quoc.